In 2012, she was elected Board Chair of the Georgia Diabetes Coalition and was the 2012 “Employee of the Year” for the American Kidney Fund. Primary focus areas for much of her career were health disparities and chronic diseases, including kidney disease, diabetes, and hypertension. Her experiences in working with thousands of people around the country and going through an incredible personal transformation inspired her to start her own business in 2011, The Walker Exchange, a health and wellness promotion company. In 2013, she published "The F#@% Train To Freedom: A Wellness Guide to Finding Peace Within Mind, Body & Spirit" to further help people explore hidden blocks and challenges to achieving better health and wellness. The book creatively uses "F-words" that are not traditionally used in conversations about health, such as Fear and Forgiveness. Readers enjoy an actual journey where Noni, “the conductor”, takes them step-by-step on a path to manifest more FREEDOM in life. To enable her to further work with individuals to make the changes necessary to implement a healthy lifestyle, she became a Certified Wellness Coach in 2014. 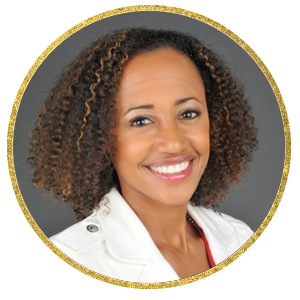 Recently, she created a second company, Noni Walker Ventures to provide personal development coaching and consulting in Health and Wellness, Finance and Wealth, Business and Leadership. This move helps to expand her brand via joint ventures and lifestyle-focused events and products. ​Noni and her family currently live south of Atlanta, Georgia. She maintains her active lifestyle by prioritizing her mental, physical and spiritual well-being.